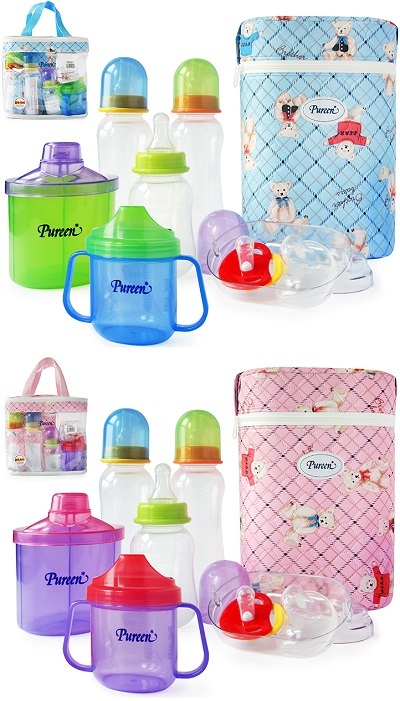 Consist of 2 x 8oz Feeding Bottle, 5oz Feeding Bottle, Double Standard Warmer, Large Milk Dispenser, Drinking Cup & Soother With Cover. Made from durable high quality materials and convenient to use. Packed into a gift pack set and makes a great gift. Easy to carry while travelling and during outings.